In our last lesson we learned that there are two families in the world. The head of one of these families is Adam, the first man. The Head of the other family is Christ, God's second Man. Some people think that God is the Father of all men, but this is not true. 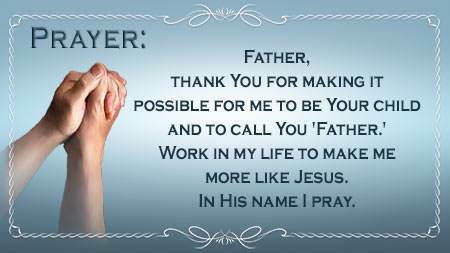 Only those who are in Christ's family have God as their Father. Those who are in Adam's family have Satan as their spiritual father. 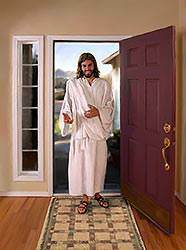 The Lord Jesus Himself said that God is not the Father of all men. When Jesus said, "IF God were your Father…" He plainly showed that God was not their Father. To make it even clearer, He told them who their spiritual father was. He said, "You are of your father THE DEVIL…" So these men did not have God for their Father but rather, Satan. The same thing is true of all who do not believe in the Lord Jesus Christ. Yet, no one has to remain in Satan's family, for the Lord Jesus has made it possible for each one of us to become a child of God. The Bible calls this being "born again." We are going to see what it means to be born again. In the third chapter of the Gospel of John, we read the account of a man named Nicodemus who came at night to talk to the Lord Jesus. This man was a member of the Pharisees, one of the most religious groups of that day. 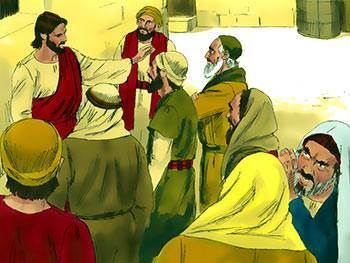 Nicodemus attended the synagogue faithfully. He prayed much. He gave money regularly. He did many good deeds. He knew the Scriptures well. He was a teacher of the Jews. Yet, he came to Jesus. We do not know exactly why Nicodemus came, but he must have recognized that Jesus had the power of God in His life. And perhaps Nicodemus thought that Jesus could give him some new teaching on the Scriptures which would help him. But Nicodemus needed something more than teaching—he needed to be born again! This statement must have shocked Nicodemus. Was he not a Jew, a member of God's chosen race? Was he not a good, moral man? Was he not a teacher among the Jews? Yes, Nicodemus was all of these things, but he was still a member of Adam's sinful family. He was not a child of God. 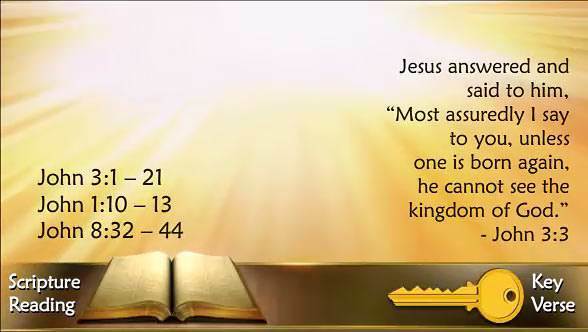 The Lord Jesus declared here the absolute necessity of being born again. This applied not only to Nicodemus, but it applies to every person. "You"—no matter who you are—"must be born again." 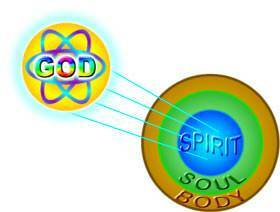 We must be born "from above" of the Spirit of God. There is no other way of becoming a child of God. 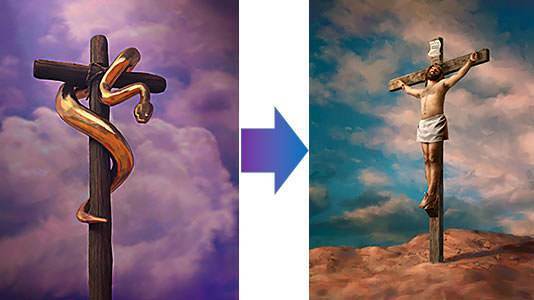 The requirement for the new birth is faith in Jesus Christ crucified for our sins. The Lord Jesus explained this to Nicodemus by reminding him of something that happened to the children of Israel while they were in the wilderness. The people had complained against God and Moses, so God sent fiery serpents among them. Those who were bitten by the serpents died. 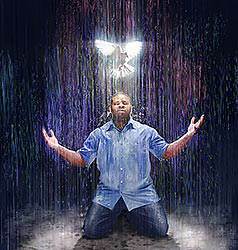 The people confessed their sin and cried to Moses for deliverance. 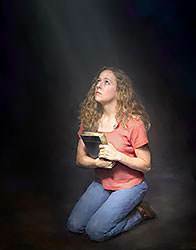 Just as the Israelites were saved from physical death by looking in faith at the serpent upon the pole, so we are saved from eternal death by looking in faith at Jesus upon the cross. 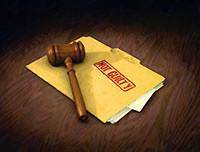 Before a person can be born again he must realize that he is a sinner. 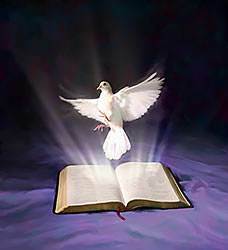 The Holy Spirit uses the Word of God to show us that we are sinners in need of a Saviour. Then, the Holy Spirit uses the same Word to show us that the Lord Jesus Christ is the Saviour we need. Let us look at a further explanation of the new birth. The new birth is NOT "of blood." This means that it is not of human parents. 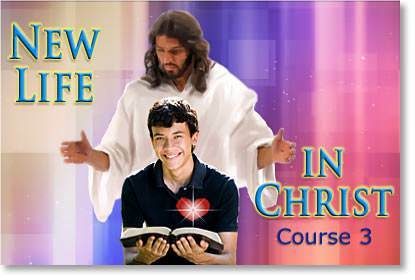 No one is born into this world as a Christian. Having Christian parents is wonderful, but it does not make you a child of God. Each one of us must be born individually into God's family. The new birth is NOT "of the will of the flesh." This means that no one can make himself a child of God by his own efforts. Eternal life cannot be earned but must be received as a free gift from God. 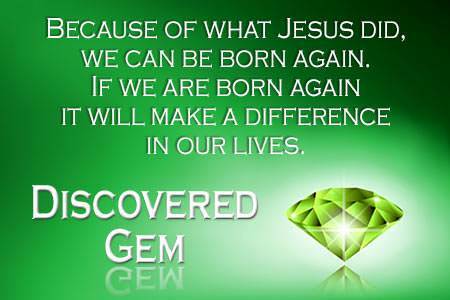 When we truly believe that Jesus Christ died for our sins and we receive Him as our Saviour, we are born again. 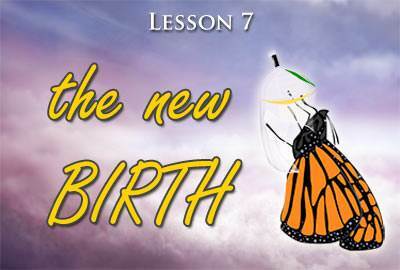 What is God's part in the new birth? This means that He forgives US of all our sins and declares us righteous in Christ. God takes us out of the family of Adam and puts us into Christ's family. We are no longer in Adam, but we are in Christ. We are going to see more of what this means in our next lesson. God makes us His child. God gives us a new spirit, and He gives us His Spirit to dwell in our new spirit. We need to make one thing clear here—our old nature is not removed when we are born again. God does not remove our old sinful nature, but He gives us His life to overcome it. Our old nature will not be removed until Jesus comes for us, but with the Holy Spirit dwelling in us, we can overcome its sinful desires. 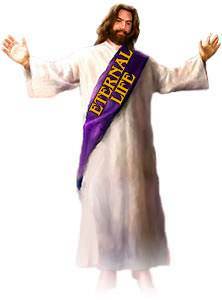 God gives us eternal life. God does many other wonderful things for us when we are born again. He puts us in Christ. He joins us to His Son. He delivers us from the kingdom of darkness and from the power of sin. He makes it possible for us to have victory over the world, the flesh, and the devil. We are going to find out more about these things in our subsequent lessons. 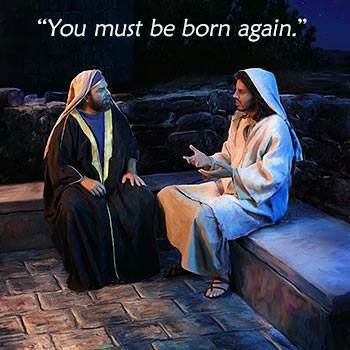 How can we know that we have been born again? 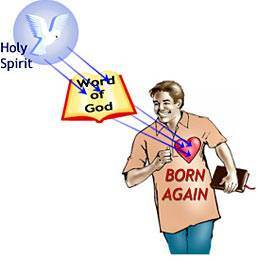 When we are born again, God's Spirit will make the Word of God real to our hearts, and we will know from God's Word that we are saved. 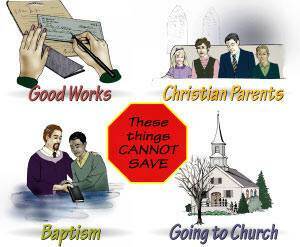 All of these things will begin to happen because we have been born again.